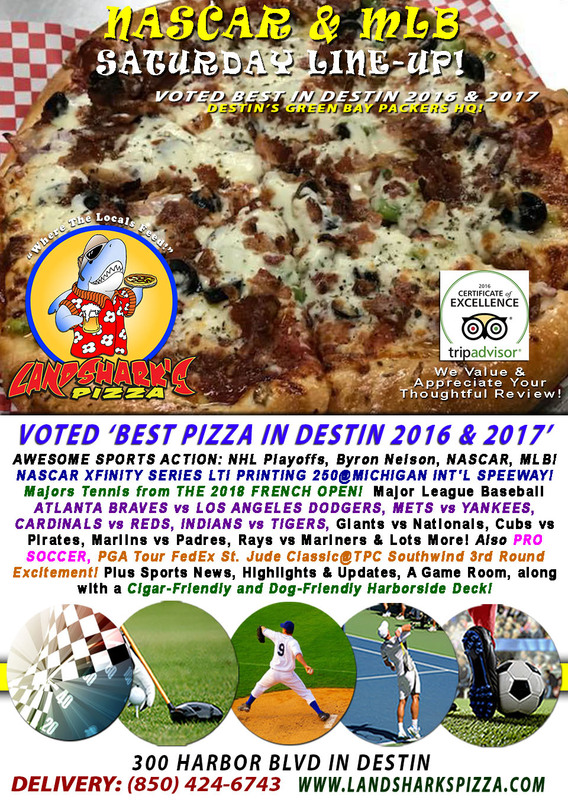 Landshark’s Super Saturday U.S. OPEN, MLB RAYS vs YANKEES, NASCAR Trucks & More! 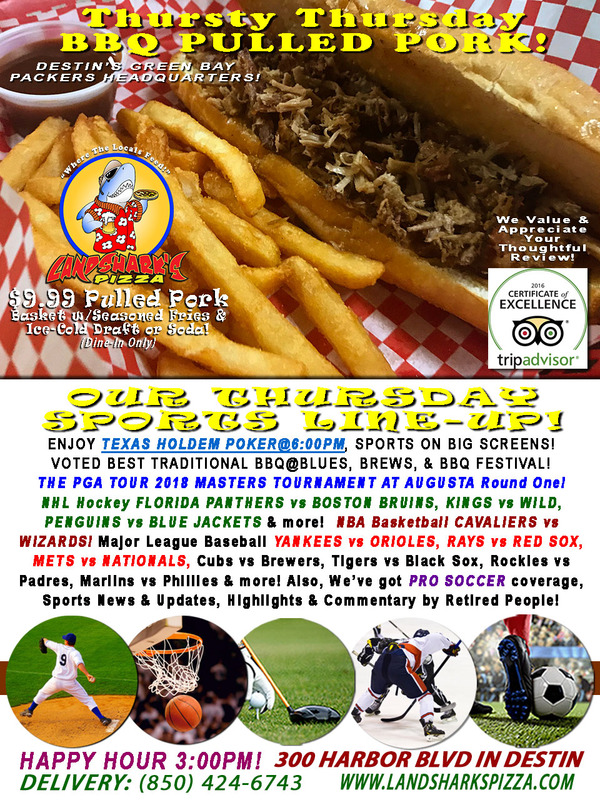 It’s a Hot Baseball Cold Brewskie Kinda Saturday with NASCAR Xfinity, MLB, PGA St. Jude Classic & More! 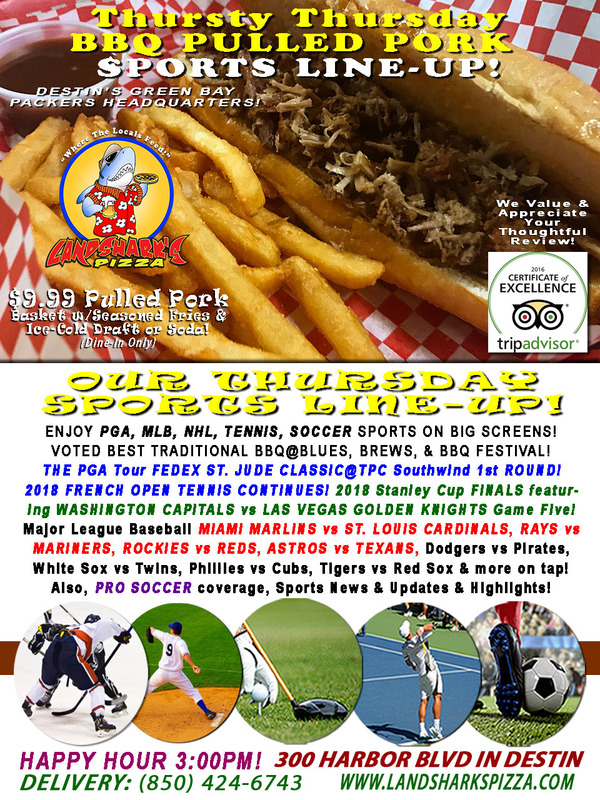 Landshark’s NHL Stanley Cup Golden Knights vs Capitals, FRENCH OPEN, PGA & More $9.99 Awesome BBQ & Brew Special! 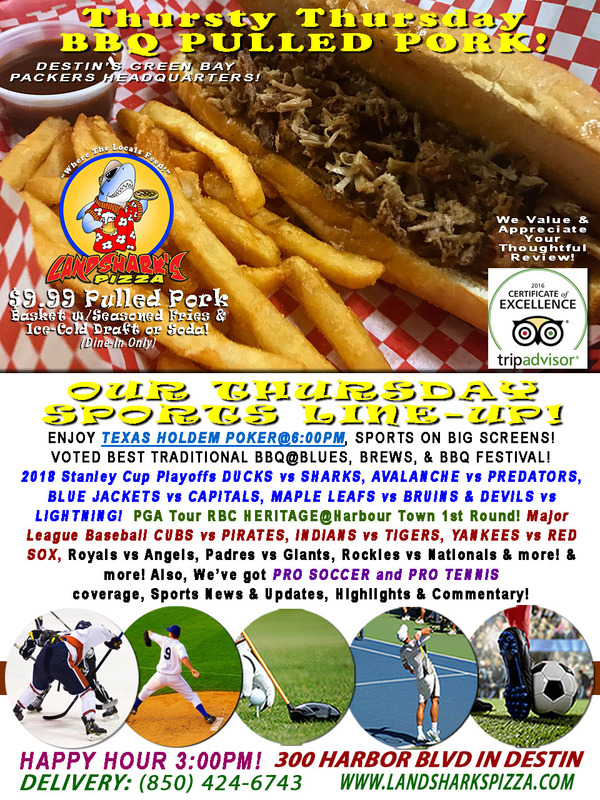 Landshark’s CAVALIERS vs WARRIORS, PGA Finale, FRENCH OPEN, MLB & NASCAR Pocono 400 $8 Pitchers, $12 Buckets & More! 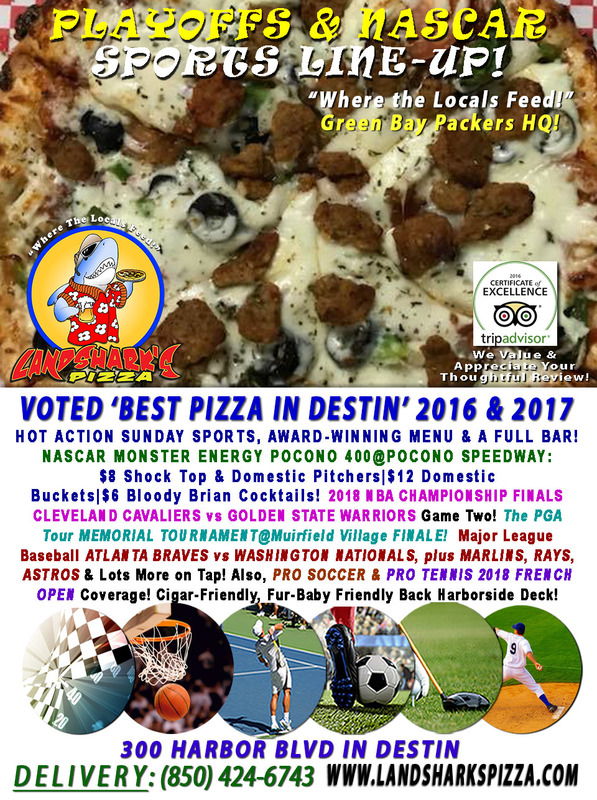 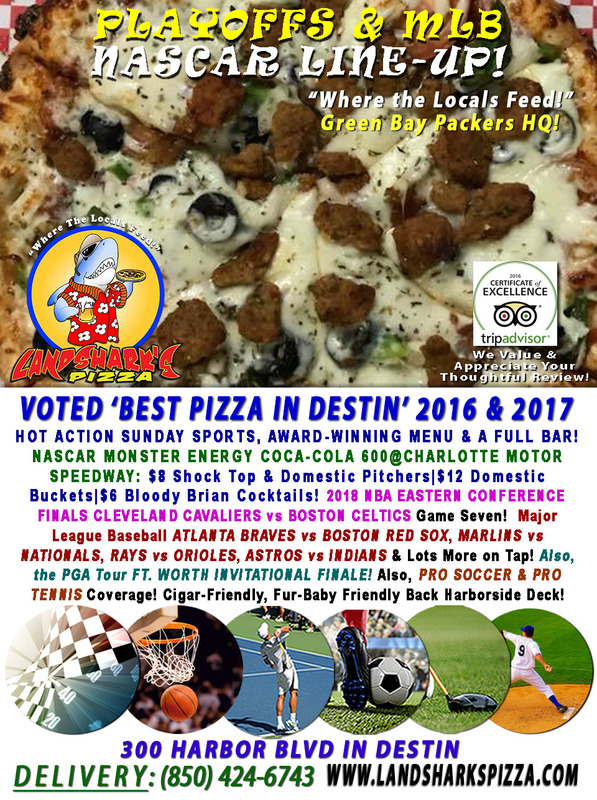 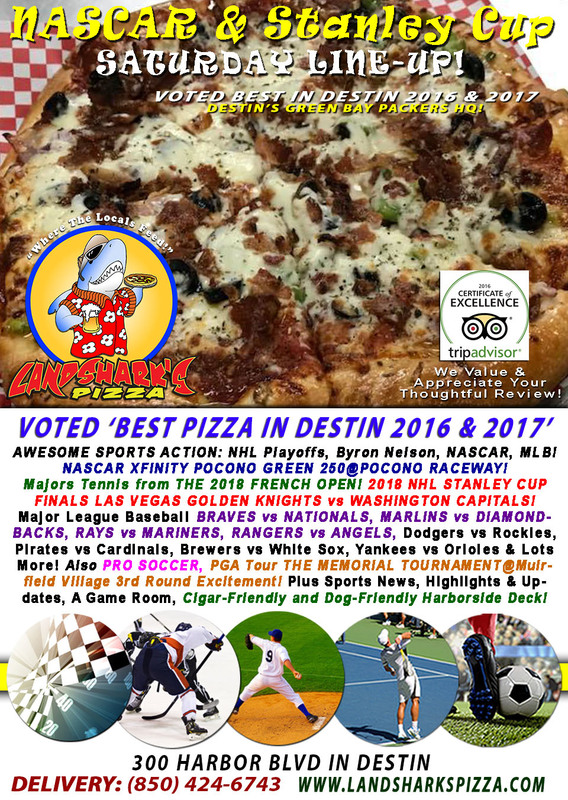 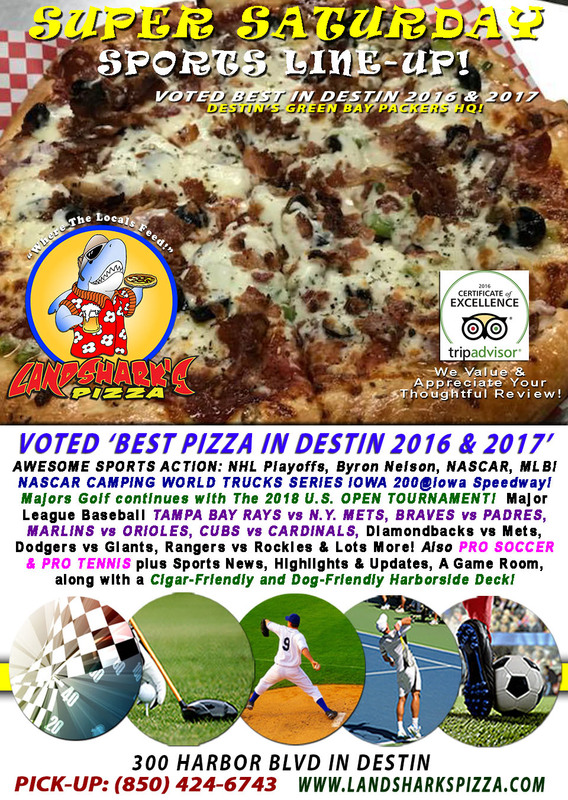 Destin Saturday Stanley Cup GOLDEN KNIGHTS vs CAPITALS, NASCAR Pocono 250, MLB, PGA The Memorial & More! 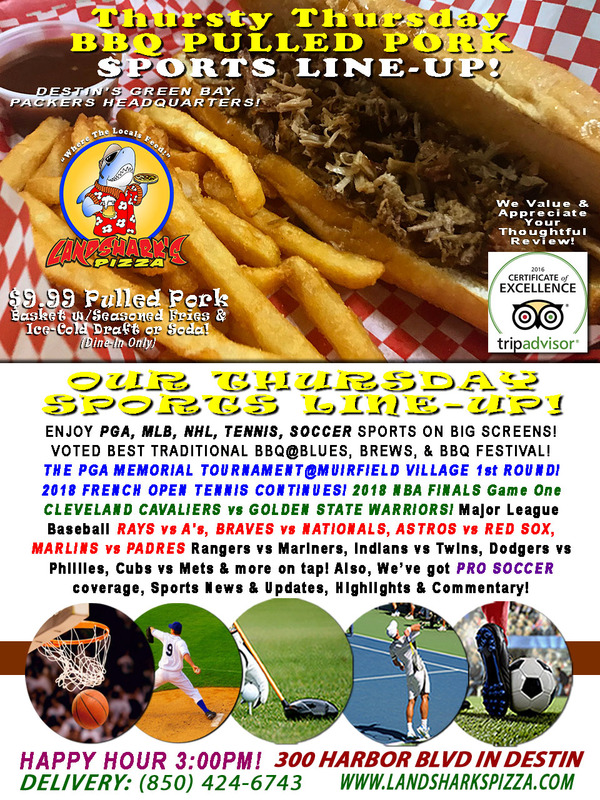 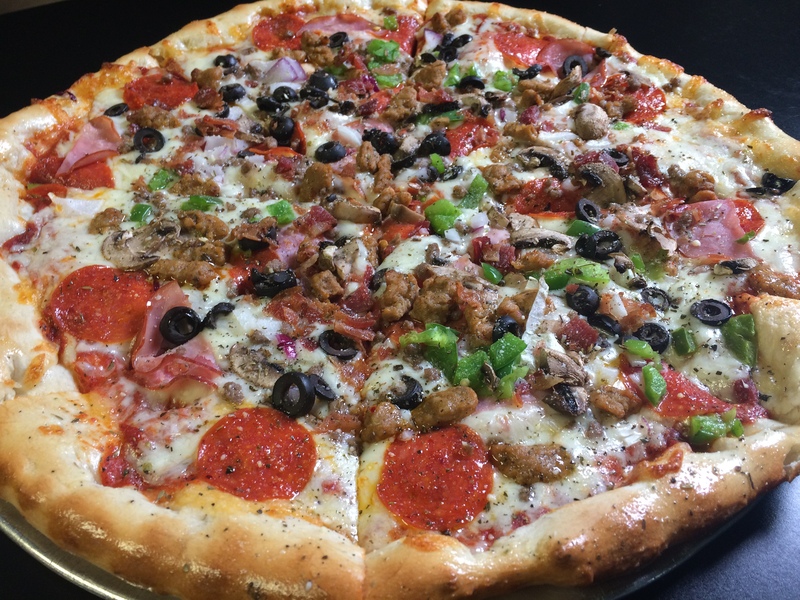 Thursty Thursday NBA FINALS CAVS vs WARRIORS, FRENCH OPEN, MLB, PGA & More $9.99 Awesome BBQ & Brew Special! 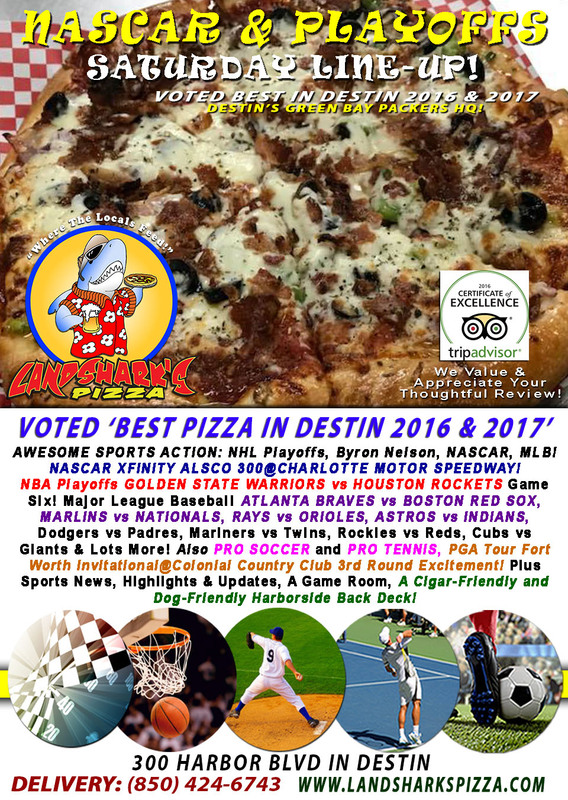 Landshark’s NBA CAVALIERS vs CELTICS Game Seven, PGA Finale, MLB & NASCAR Coca-Cola 600 $8 Pitchers, $12 Buckets & More! 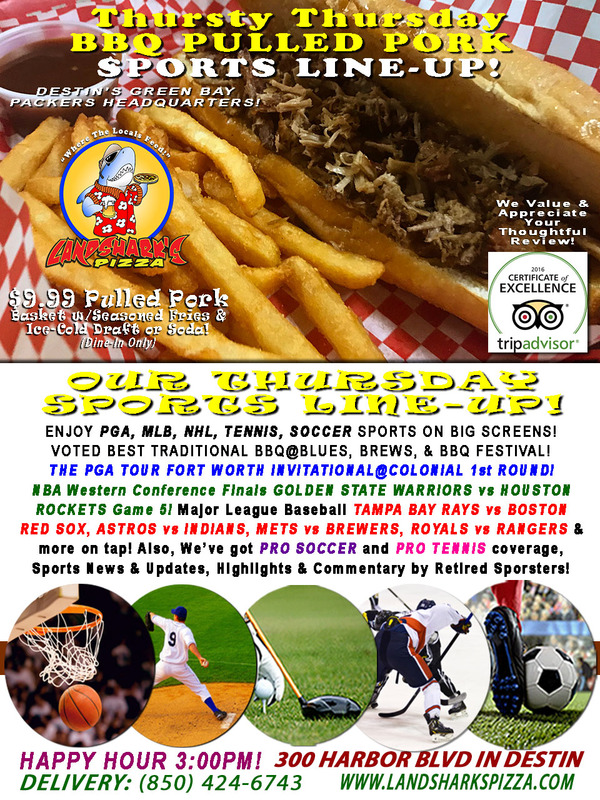 Thursty Thursday $9.99 Awesome BBQ & Brew Special|NBA Playoffs WARRIORS vs ROCKETS, MLB, PGA & More! 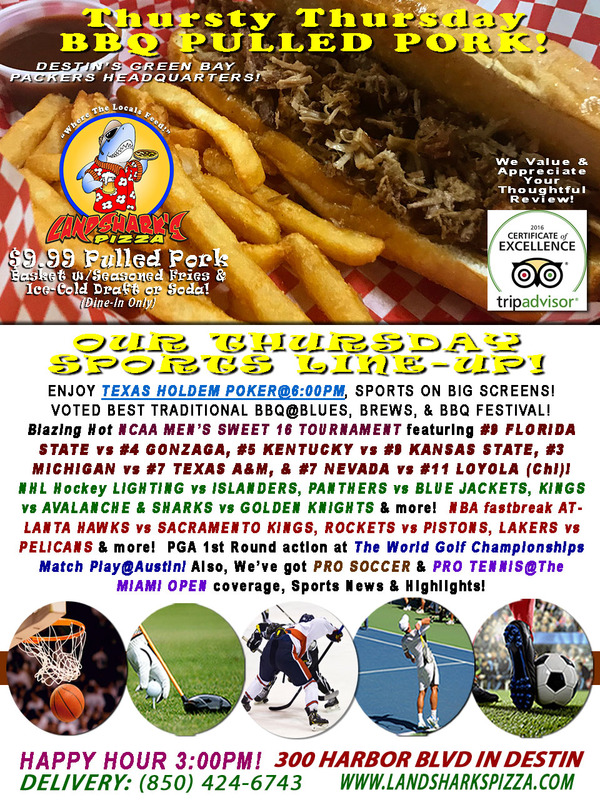 Nailbiter NCAA #9 FLORIDA ST. vs #4 GONZAGA & More SWEET 16, BBQ & Brew $9.99|TEXAS HOLD’EM POKER 6PM!